FEMCO machines tools are engineered with an abundance of innovative features for increasing precision, productivity, and operator efficiency. Various FEMCO models are equipped with specific components for particular requirements, such as precision Linear Scales for high accuracy positioning on Horizontal Boring Milles. To produce exquisite mirror finishes, Granite Headstocks for maximum spindle rigidity are featured with the SP line of CNC Wheel Turning Center. 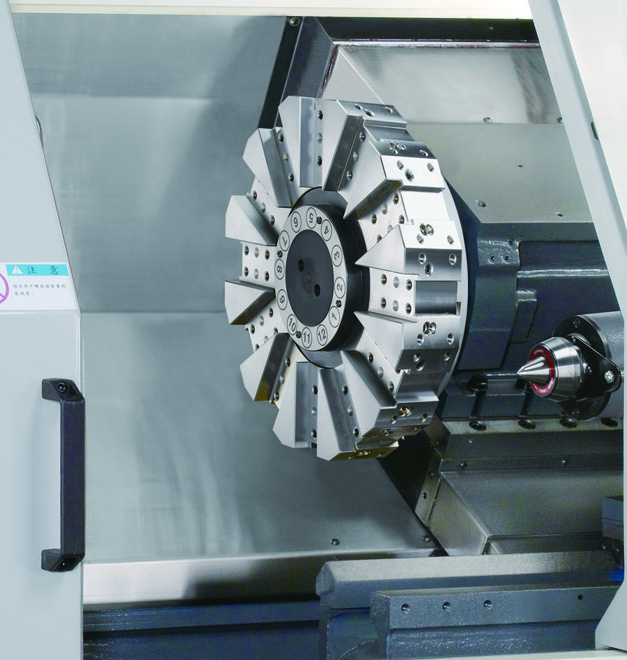 Depending on the demands of the machine tool, FEMCO provides an array of machine tool design solutions to provide necessary precision, productivity, and efficiency. For instance, FEMCO offers three different types of guide ways for CNC Vertical Machining Centers, CNC Horizontal Boring Mills as well as CNC Horizontal and Vertical Lathes. Depending on the application, the machine can be quipped with linear guide ways for high speed machining; roller guide ways for high speed machining with increased rigidity; or box ways for maximum rigidity. All FEMCO machines are offered fully equipped with the latest in reliable FANUC CNC technology. Every FEMCO machine tool is equipped with FANUC servo motors, amplifiers and drives as well as the appropriate control for maximum functionality.